They move away fast when you take out a camera. But it’s spring. 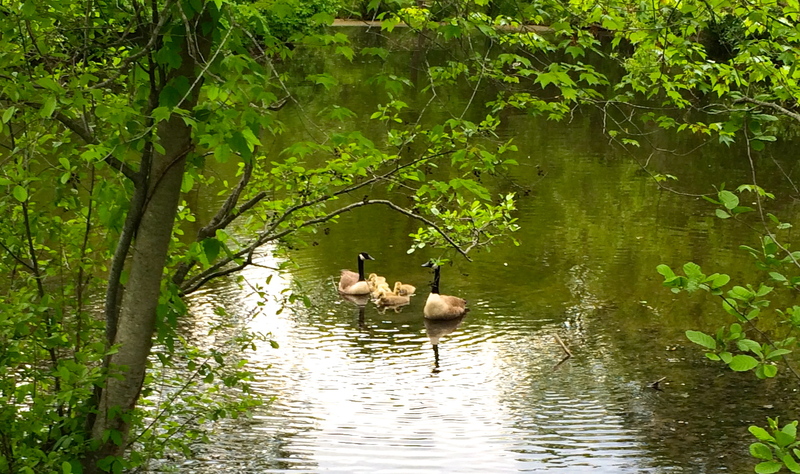 And you know where a young goose’s fancy turns in spring. 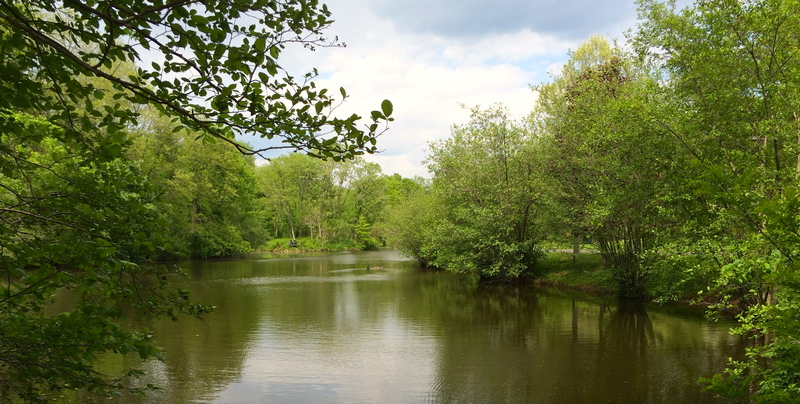 Maybe if we hurry around to the other side of the pond, we’ll be able to get a better view. There used to be two. 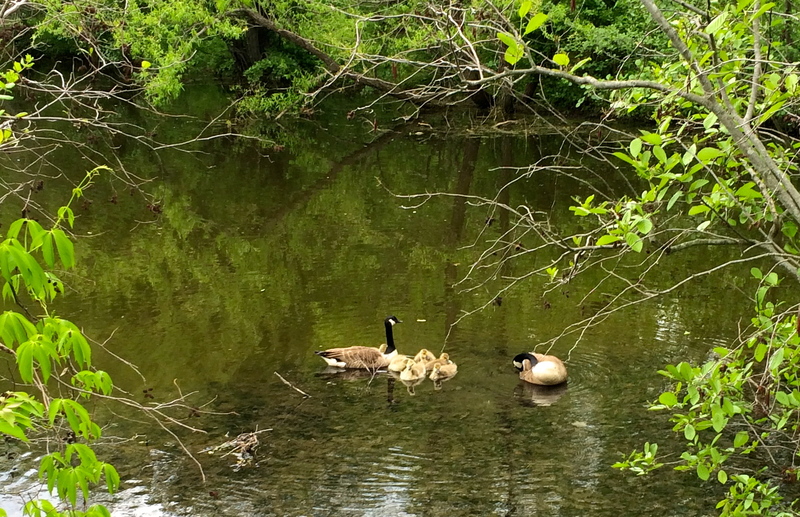 Now there are eight: mama, papa and six little goslings. 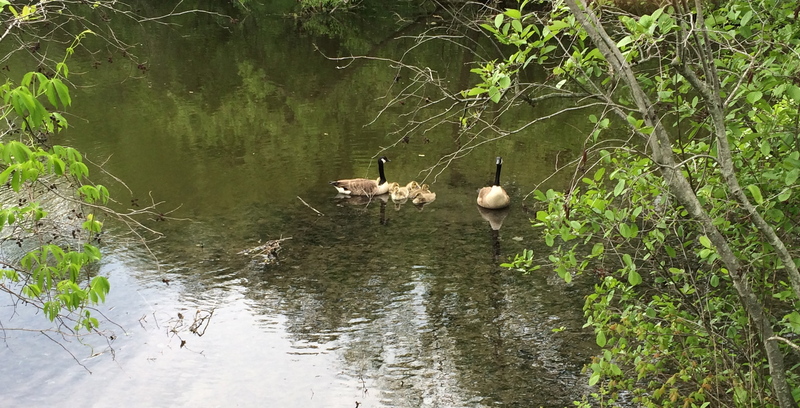 I wish I could show you the six little balls of fluff huddled near their mama more clearly. 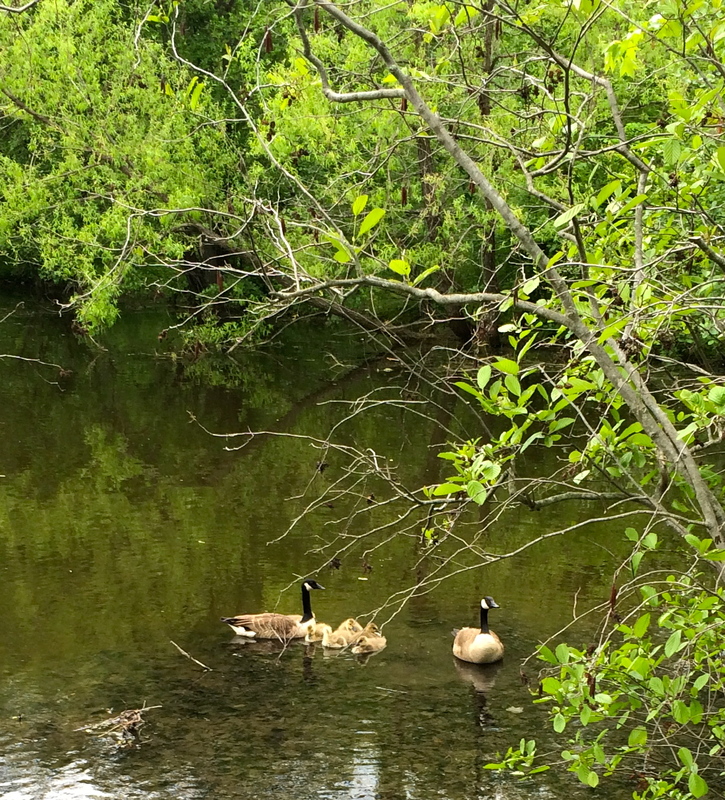 But the parents are protective; they just don’t come close to shore with their goslings. And even the miraculous iPhone 5s has its limits. But if you click on a photo to open it, you’ll get a better view.